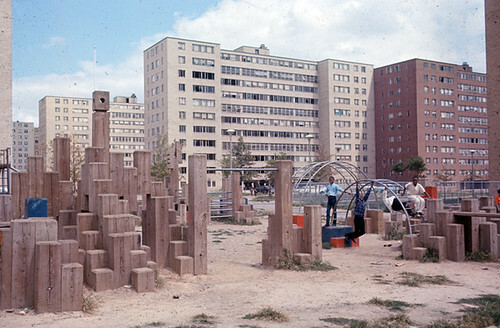 A playground at Pruitt-Igoe. Photo courtesy of the State Historical Society of Missouri. A Pruitt-Igoe sidewalk tour and screening of the documentary The Pruitt-Igoe Myth will begin at 6 p.m. July 26 at the St. Louis Fire Department Training Auditorium, 1421 Jefferson Ave. in St. Louis (63106). Michael Allen, director of the Preservation Research Office, a St. Louis-based historic preservation and architectural research organization, will lead the tour at 6 p.m. The Pruitt-Igoe Myth, which will be shown at 7 p.m., uses the infamous Pruitt-Igoe housing development and its residents to tell the story of the transformation of the American city in the decades after World War II. 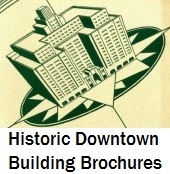 The event is sponsored by the St. Louis Metropolitan Research Exchange and the Institute for Urban Research at Southern Illinois University Edwardsville. STLMRE is a consortium of academic scholars from universities and institutions across the St. Louis metropolitan area, including Terry Jones, chair of the Department of Political Science at the University of Missouri–St. Louis, and Mark Tranel, director of the Public Policy Research Center at UMSL. The event is free. Contact Rebecca Pastor at 314-516-5277 or rebecca@umsl.edu to register. My name is Jimmie Matthews For Mayor of the City of St. Louis. I will like to attend call me at 314-599-4500.